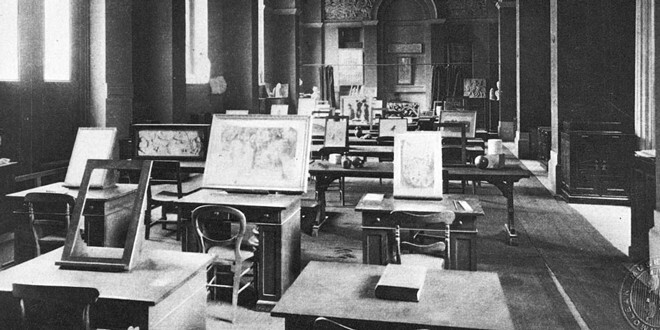 Ruskin established his Drawing School at Oxford in 1871. He intended it not for the training of artists, but of ordinary men and women, who, by following his course, ‘might see greater beauties than they had hitherto seen in nature and in art, and thereby gain more pleasure in life’. His method required the student to master the rudiments of technique – outline, shading, colour – through a carefully directed course of lessons in copying both works of art and natural specimens.